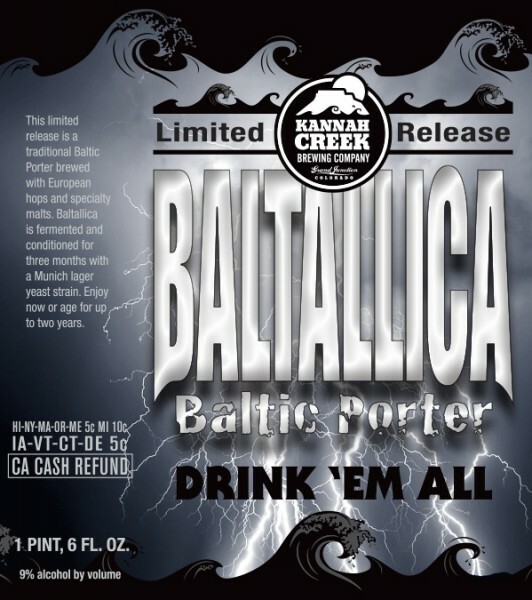 (GRAND JUNCTION, CO) — Kannah Creek Brewing Company is releasing Baltallica in 22 ounce bomber bottles this week. This limited edition craft beer will only be available at a number of select liquor stores throughout Colorado. Baltallica is a traditional Baltic Porter brewed with European hops and specialty malts. It is fermented and conditioned for three months with a Munich lager yeast strain. Baltallica pours a rich, dark brown and has an ABV of 9%. Kannah Creek Brewing Company will be releasing a second specialty bomber in early January dubbed The Demise of Ivan, a Barrel-Aged Russian Imperial Stout. These two specialty bomber brands join Kannah Creek’s other distributed beers including the three mainstays: Lands End Amber, Standing Wave Pale Ale, and Broken Oar IPA. As well as the line of rotating seasonals: Vertical Drop Robust Red, available now, Crossed Irons Irish Red Ale, and Island Mesa Blonde Ale. Our journey began in 2005 when we opened a small brewpub Kannah Creek Brewing Company. During the first seven years of brewing our focus was always on quality as we developed seven traditional beer styles and multiple seasonal and specialty beers. With several awards to our name and a growing demand for our beer, we expanded into a brand new 12,000 square foot 30 barrel production facility in 2013. Throughout our growth we continue to invest our time, energy, and resources reflecting our passion and devotion to maintain the highest standard quality. We pride ourselves on making beer that is true to its style, pleasing to the palate and very drinkable. Have Cascade, Stone Enjoy After and The Bruery Mash Shipped to Your Door Iron Hill Brewery’s Bottled Reserves/Bedotter Cans Make Terrific Holiday Gifts!